Muslims founded Valencia University in 1209. This was the very first University in Spain. Travel Bug thinks this University might be older than his humans, but he’s not quite sure. Travel Bug has been trying to set up a Bug University in Wales for ages, but he hasn’t quite managed it yet. La Tomatina is the world’s biggest food fight and is held just outside Valencia, in Bunol, every year. During La Tomatina, it’s estimated that more than 150,000 tomatoes are thrown! Travel Bug doesn’t like tomatoes, so he probably won’t go. He would much prefer a Carne Festival where people would chuck chorizo or steaks at him. He would fly to Valencia for this festival every year. The Las Fallas or ‘Fire’ is one of the most unique festivals in Spain. It lasts for 5 days and massive ‘ninots’ (puppets or dolls) are constructed using cardboard and paper mache. ‘La Crema’ (the burning) is the part of the festival where the ninots are set alight. Some of the ninots are so huge they have to be moved into position by crane. That sounds like a LOT of paper mache, which is rather a lot of effort for a little bug to get involved in. 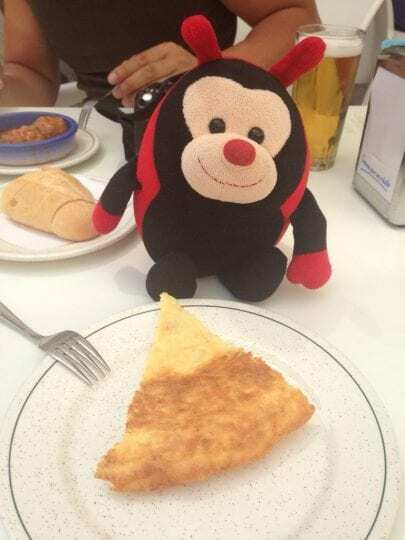 If he visited Las Fallas, he wonders if people would think he was one of the ninots and set his shell on fire. Do you have any other fascinating facts about Valencia to share with The Travel Bug?